Is your washer leaking? Is your washing machine acting up? Do you need to wash your clothes today!? Call us today to schedule a service call for your washer repair in Manhattan. 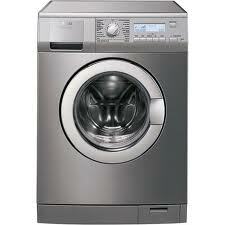 We will work with you to set up a washer repair service call for a time that is most convenient for you. When scheduling a Manhattan washer repair service call, we always try to accommodate your busy life style. Call us we are waiting to help you with your washer! If your having draining issues, we are here to help. If your washer spins but doesn’t pump water out, your drain line is probably clogged up. In several washers a small piece of clothing can get caught between the clothes tub and outer tub that holds the water. And if that happens than, it can even get into the pump itself, if that happens then you well need to remove the hoses from the pump and pull the item out of there. If your washer isn’t pumping or spinning but the motor is running, the pump pulley is probably frozen. You will need to replace the pump. If your pulley isn’t rotating freely, you will need to replace it. If the water that pumps out of the machine goes back in the washer after the spin cycle, you washer might be siphoning the water from a laundry tube that has a slow drain. If the drain hoses reaches more than about 4 inches into the laundry tub, cut off the excess.